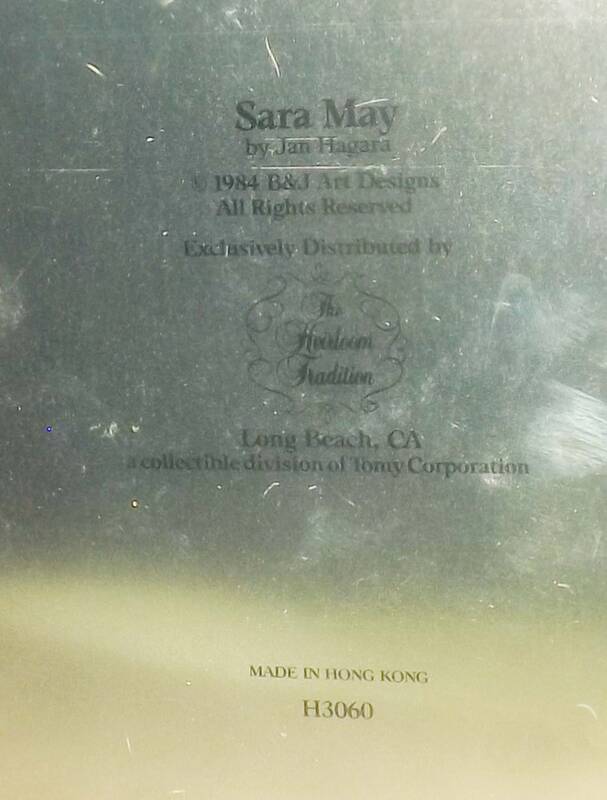 Vintage (1984) Sara May by Jan Hagara porcelain doll tin with lid (no doll inside). 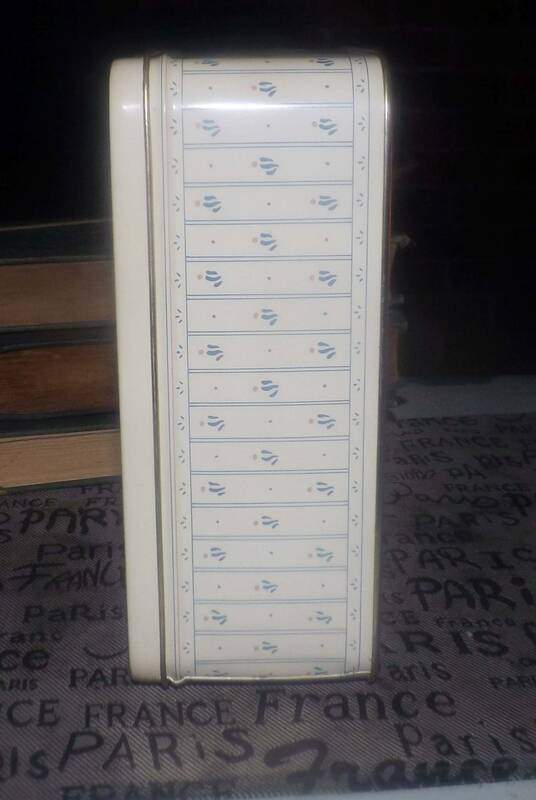 Great vintage kitchen or playroom storage or sewing box. 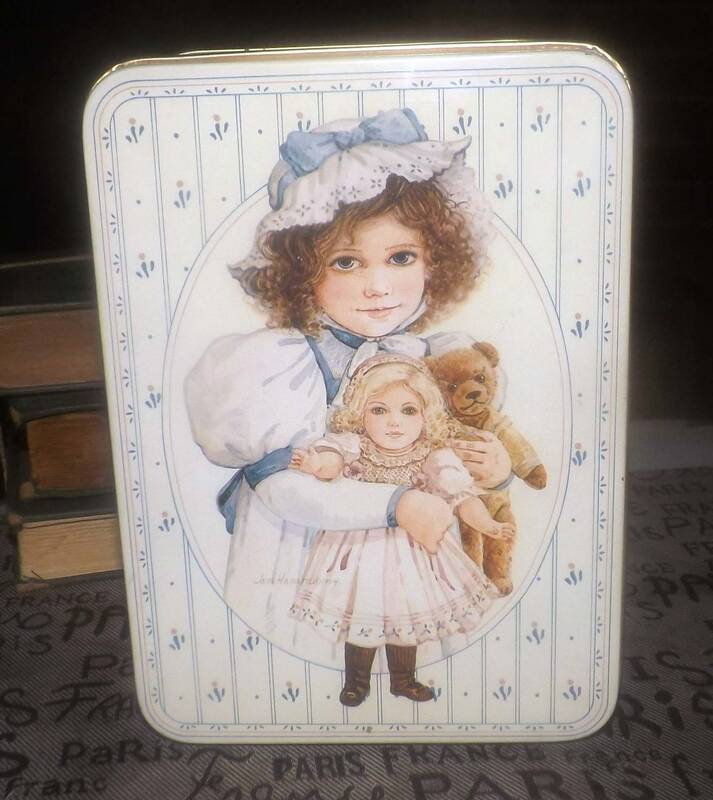 Vintage (1984) Sara May by Jan Hagara porcelain doll tin with lid (no doll inside). 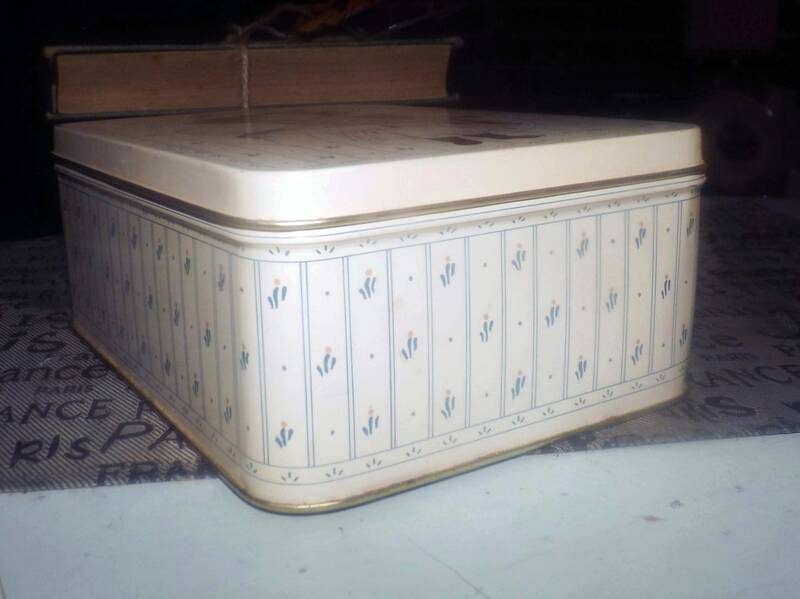 Great vintage tin for kitchen or playroom storage or for use as a sewing box. In VERY GOOD! condition with NO! dints or dings to the metal. There are a few WEE! spots of rust to the inside base of the tin and there are scratches apparent here and there, with majority of scratching to the base, inside lid and inside bottom of the tin. 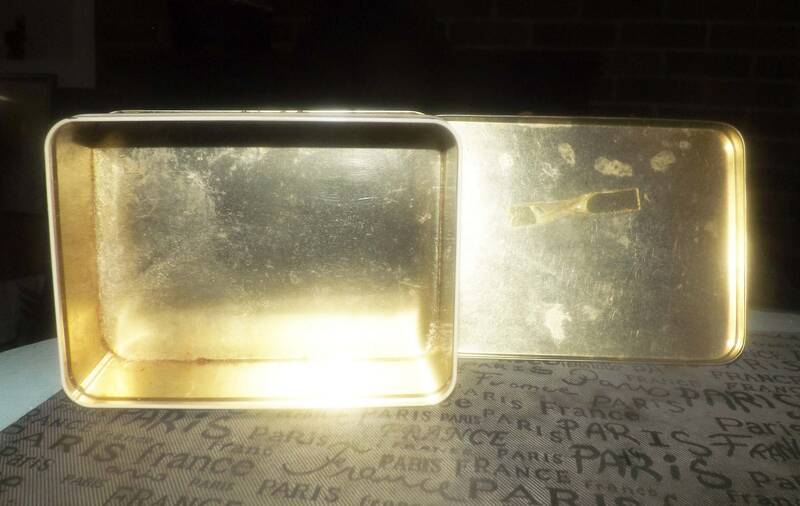 There is also some tape residue on the inside of the lid (please review each of the posted photos for a complete visual of the item). Part of Jan Harara's Heirloom Collection. Jan Hagara Heirloom Corporation was a division of Tomy toys. 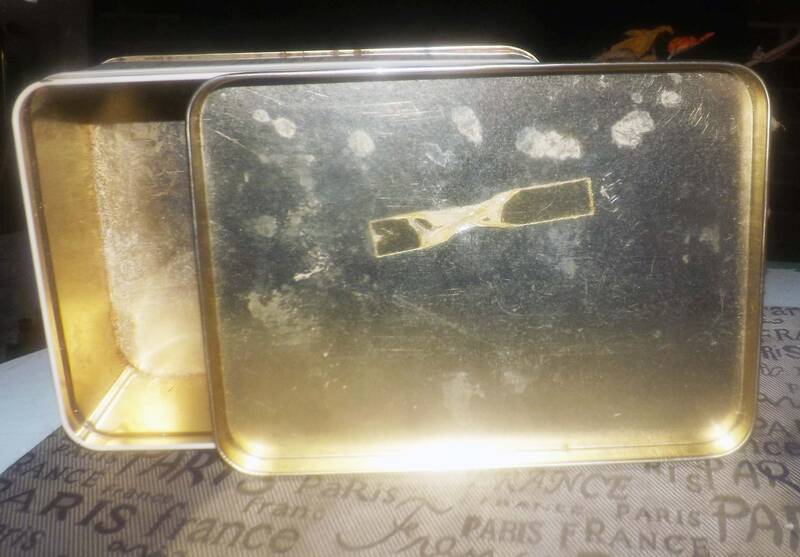 Tin made in Hong Kong. 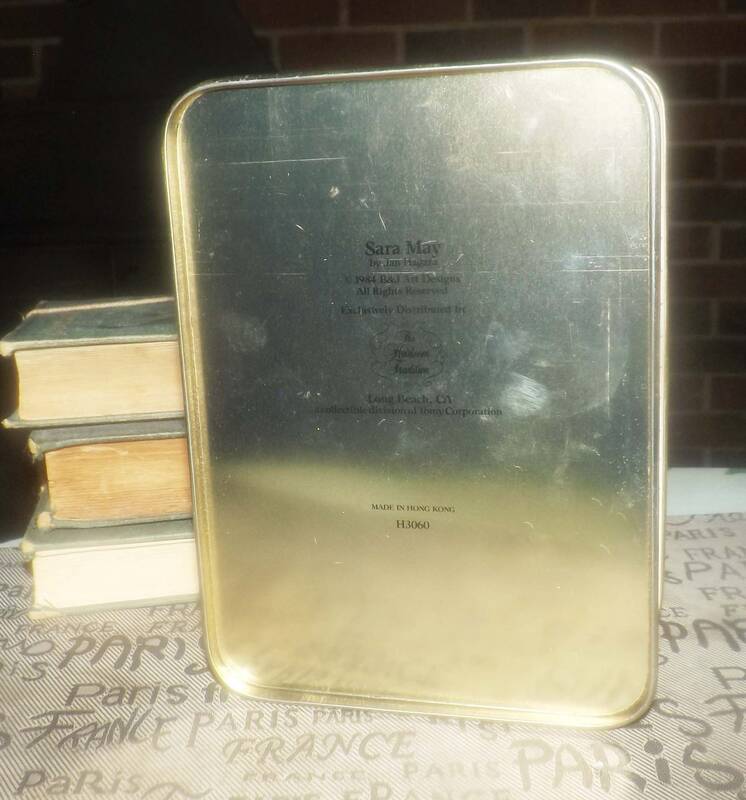 Approximate measurements: 7-5'8" L x 5-5/8" W x 3" in depth (to top of lid).